“United Family International Church (UFIC) leader Prophet Emmanuel Makandiwa and his wife, Prophetess Ruth, are seeking dismissal of the $6,5 million claim pressed against them by a Harare couple over alleged false prophecies, arguing that the suit was “frivolous” and “vexatious”. Mr Upenyu and Mrs Blessing Mashangwa — both ex-UFIC members — claim they lost a fortune after being misled by false prophecies. 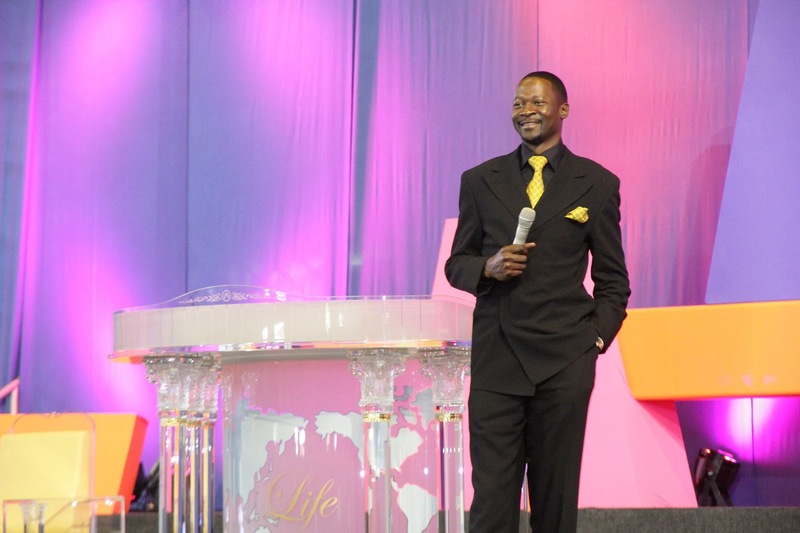 They allege that Prophet Makandiwa in 2012 misrepresented that they would encounter a “debt cancellation miracle” and encouraged them to continue “seeding”. However, the couple’s house in Marlborough, according to the claim, was later attached and sold for $500 000 instead of $700 000. They are now demanding the $700 000 from Prophet Makandiwa. The Mashangwas also want Prophet Makandiwa to pay them $1,7 million for recommending a de-registered lawyer who was to dupe them, among other claims. While the main suit was pending, Mr Wilson Manase and Mr Wellington Pasipanodya of Manase and Manase Legal Practitioners, instructed Advocate Lewis Uriri to file an application for summary dismissal of the civil claim in terms of Order 11 Rule 75 (1) of the High Court. In his founding affidavit, Prophet Makandiwa argued that the lawsuit was an abuse of the court process and that it must be thrown out. “We (Prophet Makandiwa, Prophetess Ruth and the church) make the present application on the grounds that the action is not only both frivolous and vexatious, but also a self-evident gross and contemptuous abuse of the process of this court,” reads their affidavit. “Each of the six claims suffer from predictable failure and so groundless that no reasonable person could ever hope to obtain relief there from. “The principal case has not been brought with the bona fide intention of obtaining relief. Instead, the proceedings have been brought with the sole and mala fide intention of annoying and harassing us. Regarding the debt cancellation claim, Prophet Makandiwa denied ever misleading the couple, saying no prophecy can command the congregants to stop repaying their debts. Prophet Makandiwa said the leaders at UFIC only deliver sermons and teachings based on the word of God and video evidence of all services can confirm. “The respondents never got a ‘representation’ in the manner and terms alleged. In fact, believers that attend church are not ‘represented’ to,” the affidavit reads. “Ministers of religion deliver sermons and teachings based on the infallible word of God. Prophet Makandiwa argued that the Mashangwas never owed ZB Bank as alleged and that the Marlborough property was never attached over a $500 000 debt as alleged. In February 2012, the property in question was sold to someone for $800 000 and later on, to another person. Prophet Makandiwa denied ever prophesying that Tichaona Mawere was a great lawyer, who would never lose a case. Instead, Prophet Makandiwa attached a digital versatile disc (DVD) showing the events of the day in question showing that the prophecy was targeting Mawere’s wife, who had problems with her husband. “On May 6 2012, during a church service (a DVD with the recording of the pertinent portion is attached as Annexure 20), I counselled and prophesied to Mawere’s wife,” he said. “I asked her where her husband was and Mawere came forward from the congregation. I advised the couple that the two were using their legal training and skills to test each other’s intellect and legal acumen in the home, which prophecy the couple affirmed. Prophet Makandiwa stated in the affidavit that the couple never engaged Mawere as alleged. Instead, Prophet Makandiwa said, Mr and Mrs Mashangwa engaged the services of Mr Tichaona Govere of Govere Law Chambers for his case. According to the summons, the couple claims it lost the court case, but the record, Prophet Makandiwa said, shows that they won the matter. On the claim related to payment of tithe and offerings, Prophet Makandiwa said they were biblical and no one was compelled to pay them. “They are an act of worship predicated on the believer’s faith,” he said. “The same are not enforced in the assembly that is the third defendant (UFIC), but are free will offerings. Prophet Makandiwa denied knowledge of the $1,1 million that Mr and Mrs Mashangwa claim to have contributed to the church.